Your fond memories of grandma and grandpa go far beyond that extra serving of pie after dinner. There were long talks full of wisdom, giggle fests and endless encouragement. It turns out, those special times weren’t all you got from grandma and grandpa. Studies show that your grandparents influenced much more than just your whittling abilities. Grandparents can help your ability to be independent, compassionate and confident. And the rewards of the bond between a grandparent and grandchild is no one-way street. In addition to great grandkids, grandma and grandpa can experience a longer life, lower risks of depression, and improved coordination. Sound too good to be true? Think again! 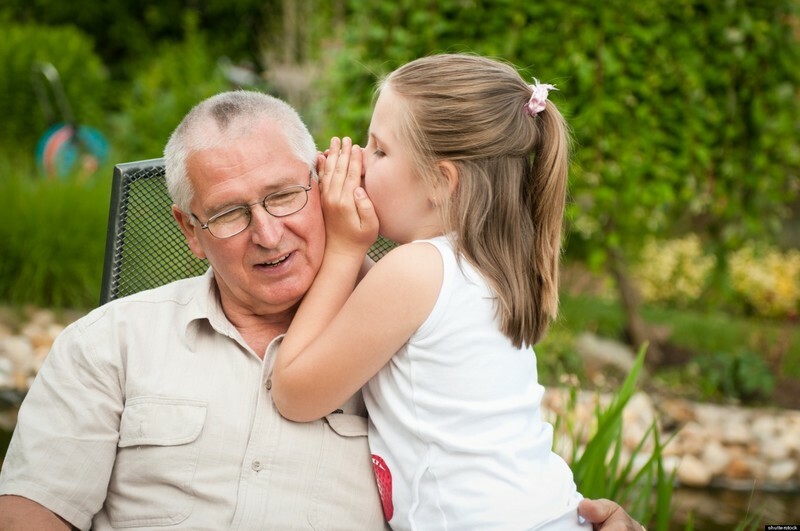 To prove it, we’ve compiled the top 3 reasons the grandparent/grandchild relationship is even more of a blessing than you thought. Between schools, camps and sleepovers, kids are bound to spend some time away from home. And some kids handle the separation easier than others. In order to give children a sense of safety and independence, grandma’s house is a great place to start. Not only does it show children how other family dynamics work, but it they can be safe in the homes of other friends and family. Knowing their roles outside the homes and how to adjust to other lifestyles makes children more prepared to enter unfamiliar territories as they grow. When it comes to learning how to solve conflict in a calm manner, emotional intelligence is key. Research shows that those with higher emotional intelligence scores have been found to be 54% more successful in their relationships, effectiveness, health, and quality of life. 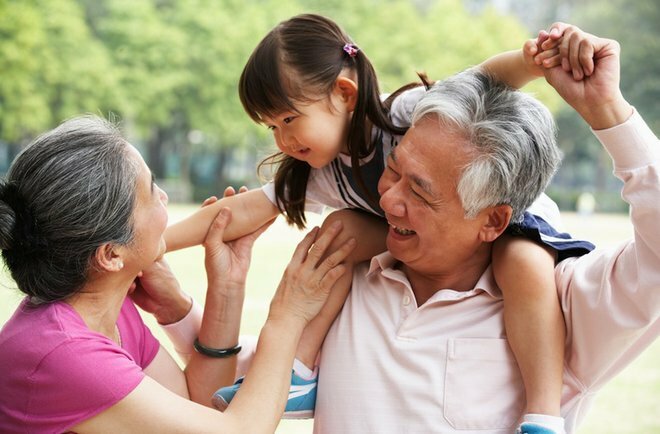 A fulfilling relationship with the grandparents in which a child is shown love and support by a third party is shown to have a positive impact on both the emotional and social intelligence of a child. The result? An awareness of the source of their feelings, better communication skills and a stronger ability to empathize. Knowing their family history can give kids a better sense of identity as well as open their eyes to new cultures and traditions. What better way to learn where they came from than from story time with grandma and grandpa? Research shows that learning about triumphs over hardships that family members have achieved can actually make them better at facing challenges. Not only that, but they’ll know that they have connections that go beyond what the eye can see, decreasing feelings of loneliness or isolation. The berlin aging study tested 500 seniors, some who had creating duties for children and others who didn’t. They found that seniors who babysit their grandchildren had 1/3 less risk of dying. Lead author of the study. Dr. Sonja Hilbrand says there could be a biological reason for this, rooting back to the days when parents needed help with childcare for the species to survive. Rest easy next time your kids are headed to grandma and grandpa’s knowing they may enjoy a longer life because of it! Cognitive performance is the ability to learn, think, and remember things clearly. It also controls motor functions, emotional intelligence, and sensory abilities. As we age, cognitive performance can decline. But luckily this decline is preventable. Staying active, keeping stress levels low and finding mental stimulation are all methods of improving cognitive ability. Helping out with the grandkids combines each of these methods into one delightful afternoon. A study by the US Library of Medicine found that post-menopausal women who spend a day a week with their grandkids have the highest cognitive performance of their peers. It’s estimated that 7 million Americans over the age of 65 experience depression.Luckily, it’s nothing a weekend with the grandkids can’t help out. In fact, thanks to the unconditional love and support a good grandparent/grandchild bond entails, the bond is shown to reduce the risk of depression for both parties!